should be separateed from, not allied with' the P' rumphii group. The latter seems closer to certain Bornean species Previously tought to be isolated (e. g. P. kinabaluensis, P. atroprupuracrm) and possibly the Australian P. brassii. The taxonomically iolated P' falcifolius from New Guinea varies greay in its in inflorescence Presentation. Four Zantedeschia cultivars, namely "Golden Calla", "Pixie", "Pink Persusion" and "Black Magic", were used for this study. By ouly changing the oncentration of zeatin in Murashinge and Skoog mineral medium, good results of micropropaga-tion of Zantedeschia can be achieved even without any other rooting Phytohormone in the medium. The basic steps and the medium are given out as follows: l) shoot multiplication by adding 1 to 3mg/L of zeatin to MS medium; 2) shoot elongation by adding 0.2 to 0.4 mg/L zeatin into MS medium; 3) rooting by adding 0.05 to 0.2mg/L zeatin to MS medium. Chemical research showed that drug Acori contain volatile oil, and that the quality of volatile oil (0.53% ~ 2.l5 % )is different based on the drug's origin. The volatile oil mainly contain β-asarone, a-asarone, r-asarone, methyleugenol,methylchavicol, dehyde, eugenol, cis-/trans-methylisoeugenol, safrole etc. The main constituents of volatile oi1 from defferemt localities or different species of Acorus are different. Pharmacological studies indicated that drug Acori have the functions as beow: l). To control epilepsg; 2). To Prevent muscatine; 3). Anticancer; and 4). For mutagenicity and careinogenicity. A general ethnobotanical survey of konjac (Amorphophallus spp ) in China has been carried out. In China, peogle in 34 nationalities have indigenous knowledge of konjac. Its history is as long as 2000-3000 years. Some indigenous perceptions,traditional cultivation systems and propagation methods of konjac are reported in the present paper. Local people in SW China usenine species of konjac for food, medicine, cultural symbol, animal fodder, gum or wine-making. This paper expounded the utilization of taro as both food and medicine in ancient times. The moderrn cultivation,produc-tion and developmnt in Yunnan of China are briefly presented here. Major commercial taros (cultivars) in Yunnan are investigat-ed and appraised. Cryptocoryninae have highly Synorganised inflorescence, which exhibit differential odor production. In Lagenandra, the long-distance attracting stench is produced by the upper Part of the spathe. The anthers and the sterile clubs above the female flowers produce a fruity odor filling the lower part of the inflorescence (kettle). The sterile organs on the spadix have speial fea-tures, such as dense, starch containing tissue with high metabolic activity, postive neutral red reachtion, papillae, and rich supply with vascular bundles. Similar inflorescence architecture and differential odor production are known for other Araceae. Two different Arum hybrids (2n=70), one sterile, the other fertile, are described and compared. For the first time,the chromosome number 2n= 3 for the genus Arum has been observed. Some preliminary information about the karyology of these Plants, their morphological characteristics, and their origin is given. Results of the Present paper show that the normal growth of Pinellia ternata requires the following three ecological Pre-requisites:warm climate (suitable temperatare is l0 ~ 27℃), higher soil humidity (suitable moisture content of the soil is about (20 ~22% ) and diffuse sunlight (light intensity is 3000 to 30000 lx ). However, bright light, higher temperature (> 35℃) and water-logging are harmful to its growth. Under natural conditions, the four-to-five-year-old Plants of A. konjac bloom in April. By crossing with A. cor-rugatus, normal hybrid seeds were harvested. When konjac corms with flower buds were stored at 6-9℃,their flower period was deayed by about 4 months, thus can overlap with the flower peried of A. albus and make the crosses between the two species possible. Hybrid seeds of reciProcal crosses were obtained. By Pre-treating the corms with no flower buds with 100x10-6 GA3male-sterle flowers were induced. When pollinated with pollen of A. albus and other species, normal seeds were obtained.Cultivation of the hybrids thus obtained shows that the Fl generation were matroclinous in character. Strains of excellent characters were selected from the hybrid population. In this article, the authors reviewed systematically the research works on konjac conducted mainly by the Research Cen-ter of Konjy, for Agricultural University as well as other organizations in the past l5 years including the resources, biolo-gy, agronomy, biochemistry medical science and usage of konjac. There have been about two thosand years of cultivation of konjac (elephant-foot yam) in China, but such cultivation was fragmentary and scattered around the growers, house, and the use was merely limited tO konjac curd for food. It was not until the l980s that the production of konjac on a area of land in-creased up quickly. The acreage under Amorphophallus (konjac) reached about 30,000 hectares. A new industry on a large scale was formed following the progress in agriculture and processing. The research work advanced vigorously. Scientific technology is promoging the development of the industry. The diversity of Araceae is shown markedly in its habit, external morphology and phytogeography, as well as in its pollen morphology. The pollen of Araceae is still little known. A comparative small number of species have so far been investigatal. The present paper deals with the pollen InorPhology of seven genera and l8 speies. The pollen grains were all examined under LM and SEM. Among these, four genera (Zentedeschia, Amorphophallus, Typhonium and pinellia) and l7 species are Palynogicall reported here for the first time. The research results have shown tha there are intergeneric and even interspecific differences in pollen shape, size, type of aperture, ornamentation and exine sttucture. In India the family Araceae is represented by 29 genera and sbout l50 pecies. In Western Ghats, there are about 50 species beloning to l8 genera of which 35 species are endemic. one or the other member of the family is found in flOwering state in a given month of the year. The mimbers show pe variations with refernce to vegetative and reproductive growth, bloonming time and spadix architecture. While Amorphophallus sPP., saurmatum pedatum, Remusatia vivipara are hysteranthus; Ariopsis eltata, Arisaema sPP., Theriophonum dalzellii, and Typhonium spp. are synanthus; whereas Cryptocoryne spp. show intermedi-ate Stages and Lagenandra ovata, Pistia stratiotes, Pothos scandens and Rhaphidophora spp. are leafy through year with fixed flowering season. The present Study reveals the influence Of climatic factor on the development of distinct morphological and phe-nological adaptive strategies in Araceae of Westen Ghats. There are 20 speies in seven genera of aroids in Wuliangsham Mountains. They distribute in drifferent areas according to their own ecological habits. The genera can be divided into four areal-types, which can indicate the floristical relationships be-tween the target and its concerned regions. The geographcal affinity of species is also Preliminary discussed. 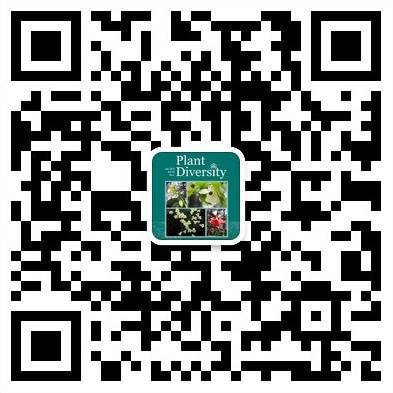 In this revision, 204 species and l6 varieties of Chinese native aroids (Araceae) are included based on the aroid studies in the last 20 years. The geographical distribution of Chinese amids is also presented. There are l08 species and l0 varieties en-demic to China, i. e. the Chinese aroids endemism reaches as high as 53.6%. The high endemism in Araceae indicates a rich di-versity of Chinese M. Altogether 93 species and l0 varietoes in Arisaema have been recorded in China (mainnly in its southwestern region), which possesses nearly 75% of the world's Arisaema. SW China can be regarded as the cenetr of diversity and modern distribution of Arisaema. Malesian aroids have, until recent yeare, received rather Iittle attention by specialists since the great monographs of Engler & krause (l905-1920). 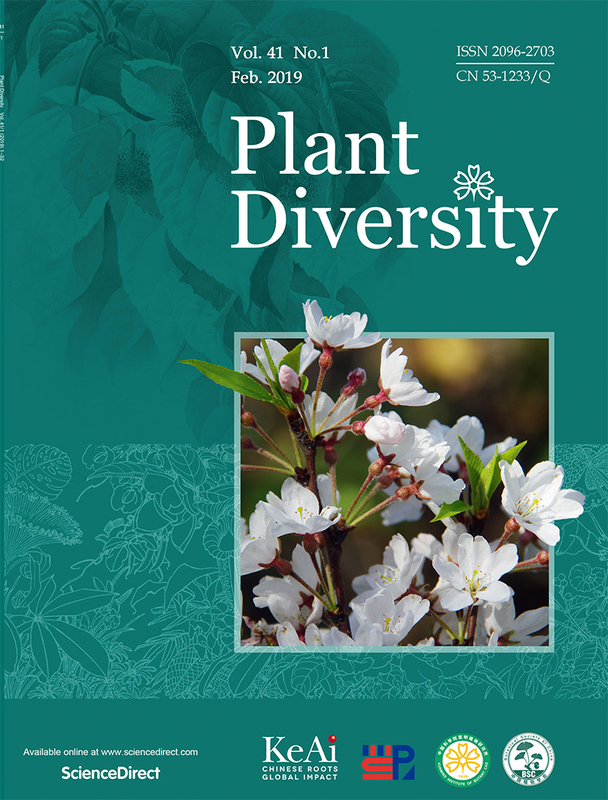 Indeed they remain one of the poorest known larger families of angiosperms in spite of their very significant ecofogical impact in the wet tropics. Currently some 34 genera and about 660 species are recognized for the region. can be agreed which will serve the Practical needs for the future. The authors consider that current rapid advances in Phyloginetic and moecular studies and generic revisions within the family are likely to mean that the family classificartion will beunstable for some time to come. The VI Intemaional Aroid Conferece was held at Kunming in Yunnan Province in southerm China be-tween June 26 and July l, 1995. The conference was well attended with 80 Chinese participants and 30 Partic-ipants from Hong Kong and 10 othe countries. These were India, Singapore, Thaiand, Japan, South Africa, Croatia, Switzerland, Germany, England and the United States.